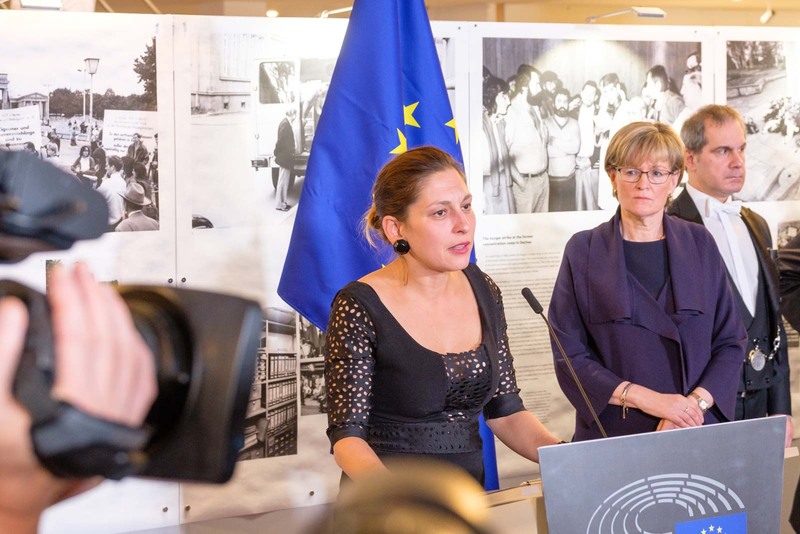 Lívia Járóka, European Parliament Vice President, Rapporteur on EU Roma strategy at the opening of the Roma Holocaust Exhibition, January 2018. “Roma are part of Europe’s cultural heritage and values and they have contributed to the cultural richness, diversity, economy and common history of the EU. On 8 April we celebrate Roma history and culture and raise awareness of the situation of Romani people,” said Manfred Weber, EPP Group Chairman, and Livia Jaroka MEP, on International Roma Day. “Almost 8 years after the launch of the European Roma Strategy, unfortunately limited progress has been achieved in terms of Roma inclusion, mainly due to the lack of complex initiatives, little Roma participation and the lack of an in-depth monitoring system. The Commission and Member States need to carry out a thorough analysis of the results achieved,” said Livia Jaroka MEP. “The new post-2020 European Roma Strategy needs to be ambitious, comprehensive, and provide remedies for the shortcomings of the current strategy. It also needs to garner the political will of all the Member States to find a real solution for the socio-economic integration of Roma, the most excluded community in Europe,” she said. “The EPP Group, as before, is dedicated to making further progress on the inclusion of Roma. We have already started working on the upscaled version of the post-2020 European Roma Strategy. We call on all Member States and Roma people to reflect on and draw conclusions from the results of the European Roma Strategy and to make the post-2020 Strategy a more successful one,” concluded Manfred Weber.